The UK Data Service aims to establish additional ways to support the long-range use of its data and resources by new generations of scholars, extending this usage through the research partnerships they develop and by the students they teach – from the earliest stages of, and throughout their career by establishing a prestigious Impact Fellows programme. Funded by the ESRC the programme aims to provide career development opportunities for scholars at a relatively early stage of their academic careers with a proven record of research. The programme took the form of an open competition for early career researchers including Ph.D researchers and post-doctoral researchers with a specific focus on impact in their research, which must be using data from the UK Data Service. Five awards are offered to the value of £2000 per Fellow and the programme runs over 2 years, from which Fellows can draw to cover impactful public engagement activity such as holding focus groups, international conference costs or the cost of an article processing charge for a publication. We’ve received some excellent and topical applications from a range of disciplinary and subject areas, and from universities across the UK. The applicants are using a wide range of data in the UK Data Service collection in their research including (but not limited to) census micro and aggregate data, the English Longitudinal Study on Ageing, Understanding Society, the UK Household Longitudinal Study, the British Cohort Study, the British Social Attitudes Survey, the European Social Survey and the British Election Survey. Matthew provides strategic direction as Director of both the UK Data Service and the UK Data Archive, based at the University of Essex. He has practical and theoretical experience in all aspects of social science and humanities data service infrastructure, having previously headed the History Data Service and served as Head of Digital Preservation and Systems at the UK Data Archive. As director he has overall responsibility for the service strategy and key stakeholder relations. He also provides leadership in data curation, archiving and preservation activities. 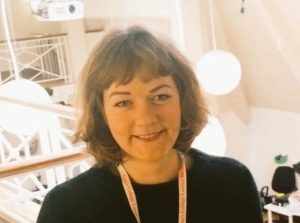 Phoebe manages the follow up work that emerges from individual factchecks, including corrections requests, FoI requests, parliamentary work and publicity. She managed Full Fact’s submission to the BBC Trust’s Impartiality Review, and has delivered training to Chequeado, Argentina’s factchecking organisation, on how to achieve impact with factchecks. She is also responsible for Full Fact’s interventions into patterns of inaccuracy – this can range from submissions to select committees or referring a case to the UK Statistics Authority to working with statisticians in government departments to improve a specific statistical release. 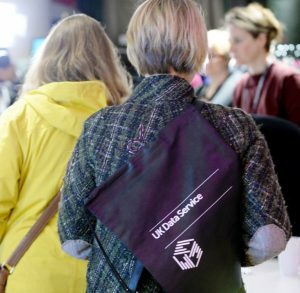 Victoria leads the communications and impact function of the UK Data Service and supports the Service in engaging with data users, data owners and other stakeholders internationally, developing opportunities for enhancing the impact of the UK Data Service. Victoria brings expertise in public and voluntary sector policy development, research impact management, developing open data resources and research data management, and information access rights. Michelle is Interdisciplinary Research Fellow at Leeds Institute for Data Analytics and a Research Fellow in the Consumer Data Research Centre. Her primary research interests are in spatial variations in diet, lifestyle and health. Michelle is an interdisciplinary researcher with a background spanning, spatial analysis and policy, nutritional epidemiology and health economics. Michelle plans to use quantitative methods to investigate geographies of consumption and how consumer behaviours are linked with health outcomes. Kathryn is an expert in comparative European politics, political behaviour and public opinion. Her research covers how attitudes to inequality are linked to attitudes to European integration as well as the link between public attitudes to inequality and public attitudes to the European Union in the context of economic crisis. She is Editor of the Journal of Contemporary European Research (JCER). Kathryn is also an Executive Member and Trustee of the Academic Association for Contemporary European Studies (UACES) committee. 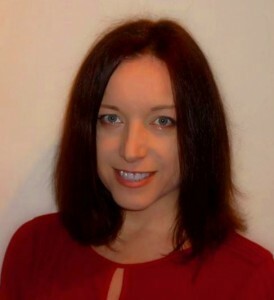 During her time at the Cathie Marsh Institute for Social Research, Dr Simpson has worked on the British Election Study (BES) and currently works at the UK Data Service in developing teaching and learning resources for researchers/lecturers using quantitative methods and handling numerical data. Our judges are currently busy assessing the applications, no mean feat owing to the quality of those we received. We’ll announce the five Data Impact Fellows in August.